The University of New Brunswick has created two new positions dedicated full-time to addressing the issue of sexual assault on its campuses. After launching the university’s Sexual Assault Policy and procedures in spring 2016, UNB committed to creating positions devoted to supporting those impacted by sexual assault and to help foster a more respectful environment on its campuses. The new Campus Sexual Assault Support Advocates will serve UNB’s Fredericton and Saint John campuses as well as provide support to neighbouring institutions, St. Thomas University and New Brunswick Community College. 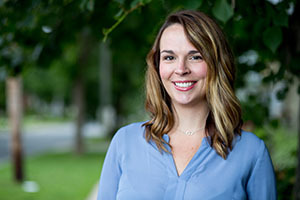 Serving the Fredericton campus community, in partnership with the Fredericton Sexual Assault Centre, Ms. Forsythe brings a wealth of knowledge and experience to UNB in supporting individuals who have been impacted by sexual assault as well as enhancing the response and prevention of sexual violence in our communities. She has worked in the fields of sexual violence counselling and addictions counselling since 2007 and joined the centre in 2010, where she provided trauma therapy for women who have experienced sexual violence, co-facilitated training for counsellors and therapists, and co-facilitated the centre’s support group for women. She obtained a Master’s degree in Counselling at the University of Northern British Columbia and is certified through the Canadian Counselling and Psychotherapy Association. She looks forward to her new role at UNB where she hopes to strengthen a system that promotes respect, empowerment, and safety for those impacted by sexual violence in coming forward to seek support. Armed with a decade of experience providing services to university students, Ms. Bauman looks forward to focusing more of her attention on the issue of sexual violence and showing students at UNB Saint John what resources are available on campus. 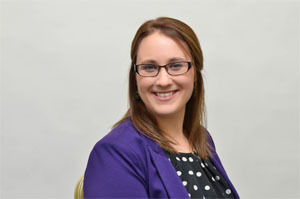 April has spent the majority of her career working at UNB Saint John as a counsellor, after graduating from UNB with a Master’s degree in Counselling and becoming a Canadian Certified Counsellor. She’s represented UNB in many other capacities such as serving as one of the facilitators for the Bringing in the Bystander Training, sitting on the Suicide Prevention Committee and the Domestic Violence Committee in Saint John. Ms. Bauman brings to this position a passion to ensure that all students on campus feel supported, understood and find hope that a full life can be lived even amongst the challenges or traumas faced. UNB President Dr. Eddy Campbell says he’s proud of the work that has been done on UNB's campuses over the past few years to address the issue of sexual violence on campus and is thrilled to welcome Ms. Forsythe and Ms. Bauman. To learn more about the information and resources available at UNB for those who need support or wish to support others impacted by sexual violence, see the UNB Response to Sexual Assault.